Having played with the cards task, I came up with the following sequence of program planning elements. *These would be online tools and synchronous events in my context. 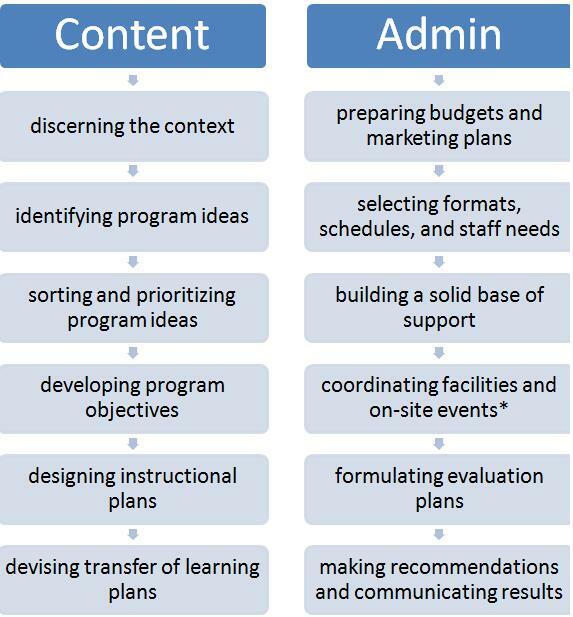 I divided the elements into two groups: content-related and admin-related ones. In my current role, I would start building a new program from the content side; however, I can see how a program planner in a different context than mine, a business one for instance, would start their planning with budgeting. Hi! We came up with very similar sequences. I also divided the cards based on content and admin but a few of mine overlapped. My sequence would also be similar but on the admin side I would select the program format before the budget since ideally I want to build a program in the format that makes the most sense for delivery and then try and budget around it.